Sailing can be a very romantic pastime. If you have never personally sailed before, then the mere thought of doing so might bring to mind bright sun, glistening sea and, of course, travelling to exotic locations. However, it is imperative that you sufficiently educate yourself about how to effectively and safely sail before you actually take to the sea in a boat. Here are some tips that can help make sure that your attempts to learn how to sail go smoothly. It’d be a great idea to spend time reading guides and books as a way of learning about sailing. However, when you want to first put what you have learnt into practice, you shouldn’t do so with a boat on the water by yourself. This is dangerous and likely to consume much time and money, realbuzz.com warns. You might already know where you’d like to sail once you have sufficient sailing knowhow. However, your choice of location might affect the way in which you must be qualified. For sailing in Croatia and Greece waters, an ICC – International Certificate of Competence – will be necessary. From the RYA, you can obtain an ICC, which is equivalent to an RYA Day Skipper Certificate, if you already hold a Coastal Skipper, Day Skipper or Yachtmaster qualification. If it is Croatia you have your eye on, then a VHF Radio certificate would be another necessity. When you are still trying to master basic aspects of sailing, you should stick to light winds and low-traffic conditions. You could feel pretty daunted if you start out in rough waters or near boats that are clearly being expertly sailed. A contained environment like the Solent in the UK would probably be the safest option – just don’t go during Cowes week or you’ll find yourself in the middle of thousands of other yachts! On water, traffic rules can prevent accidents just like the land-based rules can. Therefore, teach yourself various rules detailed on the Dummies website. 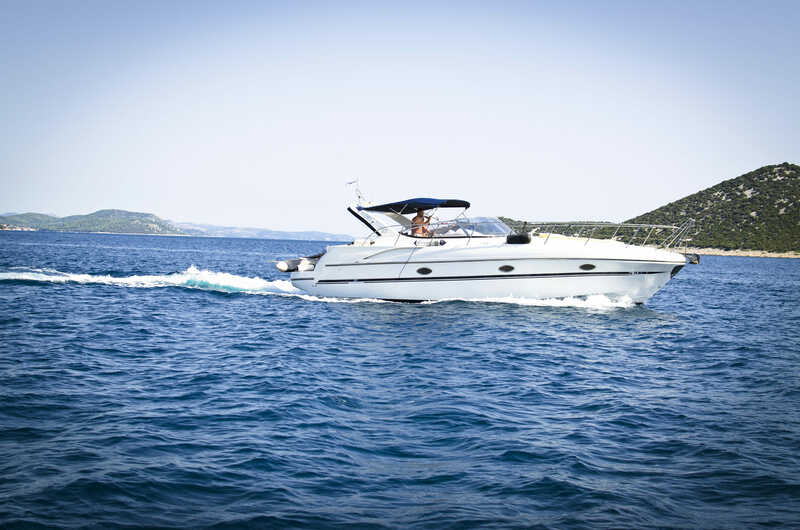 Those include avoiding stopped boats while your own boat is in motion and giving large ships right-of-way in such confined areas as a channel. Your sailboat would normally have right-of-way over a power-boat (when the sails are up) except where the other right-of-way rule we have just mentioned would apply. Also, a proper lookout should be maintained by all boats. At the end of the day, it is everyone’s duty to avoid collisions at sea, even if you think you have ‘right of way’. You should continue to do this even as your sailing experience grows. You should, for example, always let people know when you intend to go sailing – and, while at sea, wear a life jacket. It would also, of course, be useful to know how to swim. Keeping all of these rules in mind can help you to have fun when handling a yacht booked from us at The Big Sail. And if you aren’t qualified yet – don’t worry, we can provide a skipper! There are various lovely settings in which you can sail with our help.